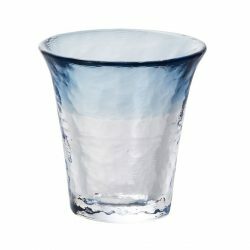 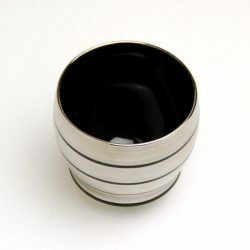 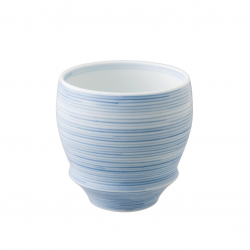 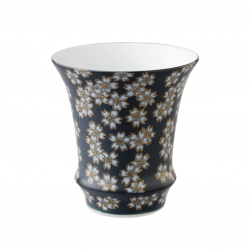 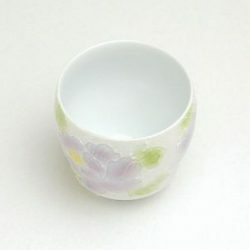 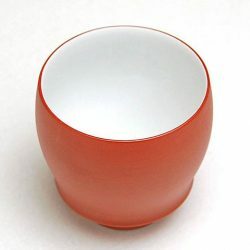 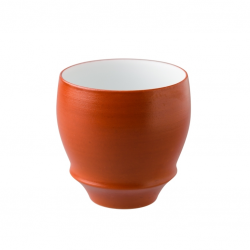 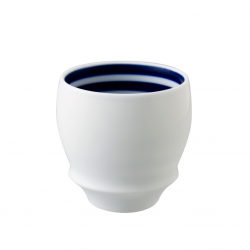 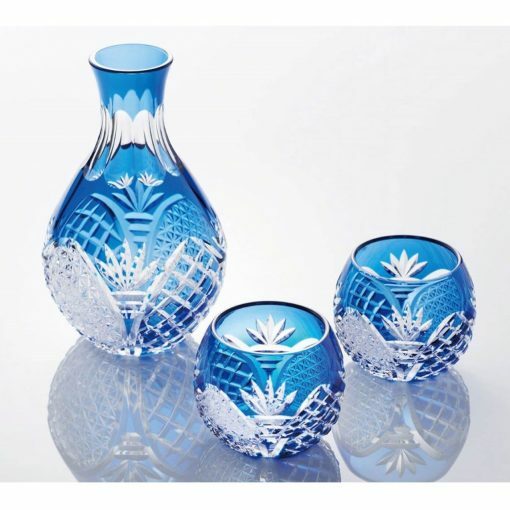 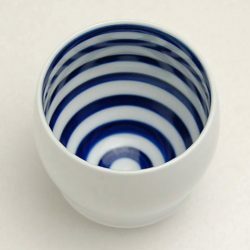 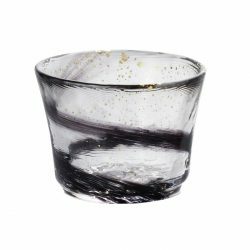 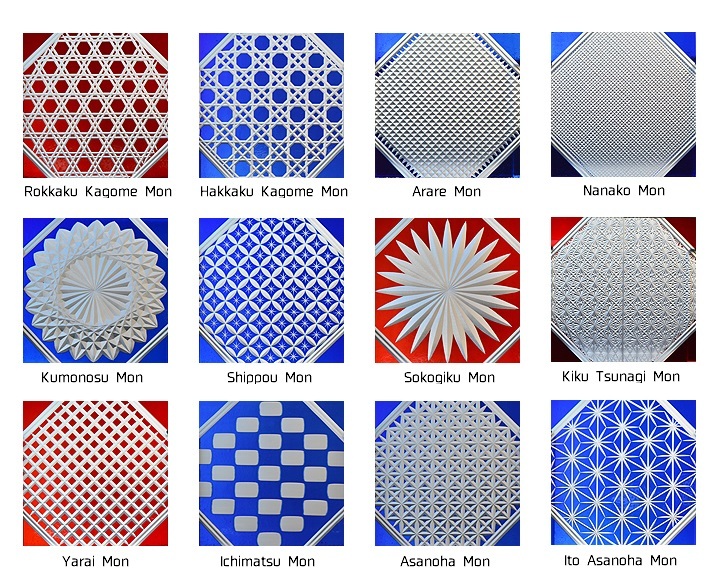 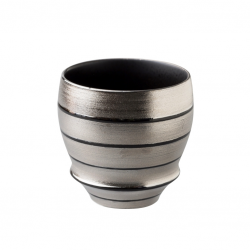 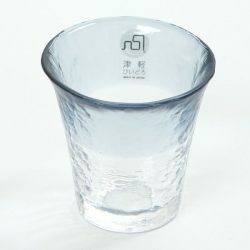 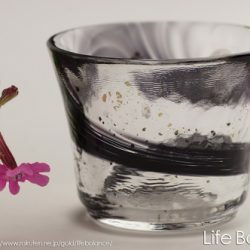 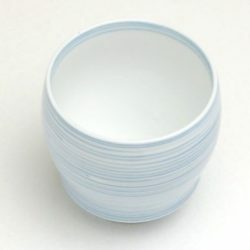 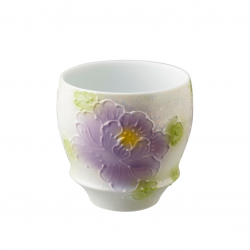 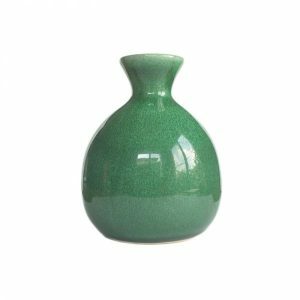 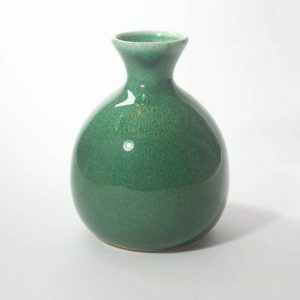 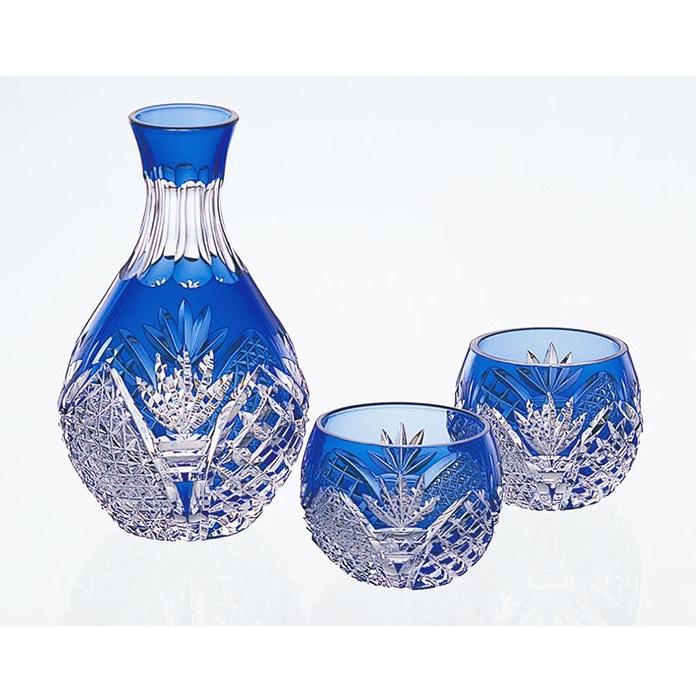 The beautiful yet modern Edo Kiriko cut glass clearly depicts the master work of the skilled artisans. 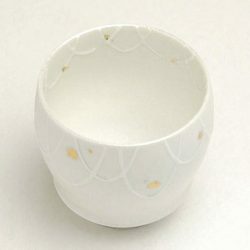 This Edo Kiriko cut glass is designed by Akio Kimura, one of the Traditional Craftsmen of Japan who received a number of awards including Medal with Yellow Ribbon, the most valuable award among craftsmen bestowed by the Government of Japan. 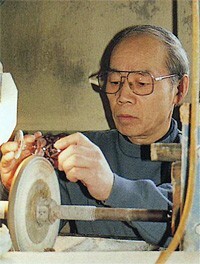 Medal with Yellow Ribbon is awarded to individuals who, through their diligence and perseverance while engaging in their professional activities, became public role models. 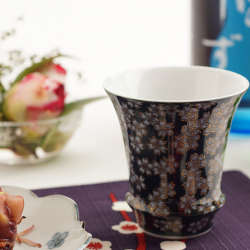 For this Sake set, Yarai (resembling a rain of arrows) and Asanoha (Hemp leaves) are used as cut patterns.